In 1901 we can see from the England Census that Edith Cleeve was aged 15. She had moved out of the family home in Dummer and was now working as a domestic servant in a small girls school in Winchester. 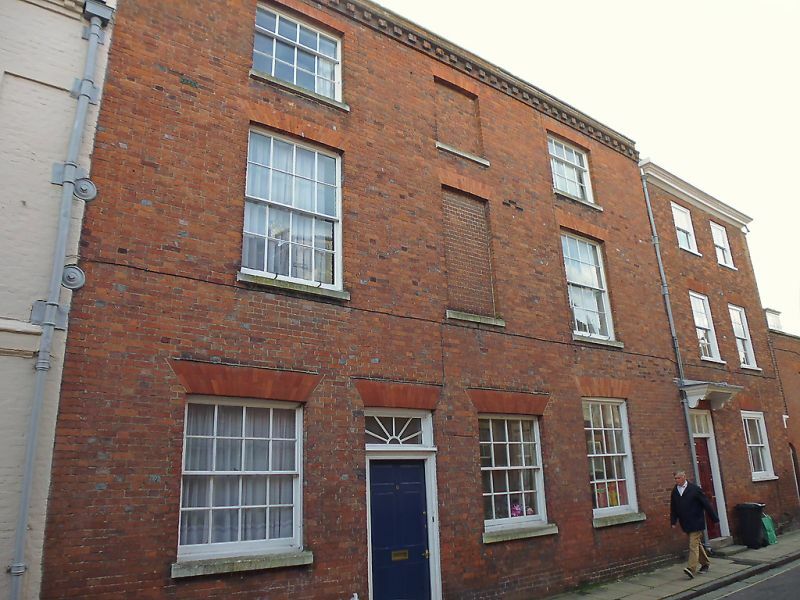 The address is 9 Kingsgate Street, and is currently still there and is a listed building. From the information given on the Census form we know that the Schoolmistress was Mary Anne Moody aged 59, who employed two governesses, three servants and had ten female pupils aged between 12 and 15. So some of the pupils would have been the same age as Edith while she was working there. Winchester was in the county of Southampton, which is south of Hampshire. It was about six miles south of Dummer, the family home, which isn’t far but I’m wondering if it seemed a long way away from home for Edith. I looked online and found some more information about the school she worked at. There is a discussion on www.rootschat.com which mentions in 1877 it is listed in the Winchester Directory as the Misses White’s Ladies School. 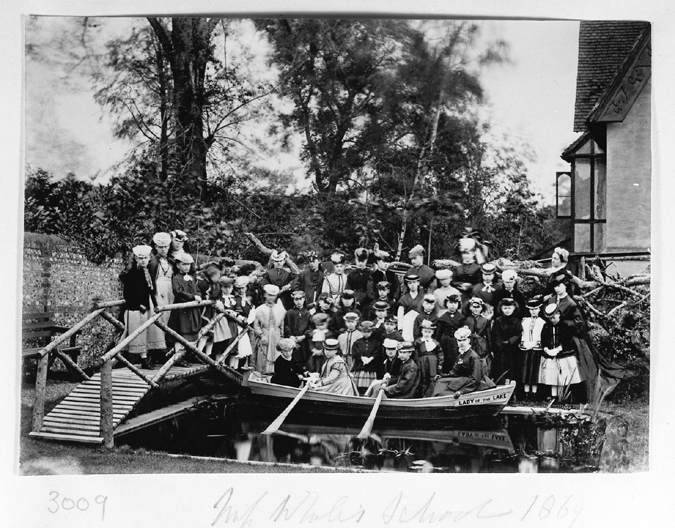 There is also a photograph taken in 1869 of pupils and teachers of the Misses White’s School, Winchester. I know this is well before the time that Edith worked here, but I was interested in the history of the school and I think it’s a great image. On looking at the Census information for the rest of the Cleeve family in 1901 I found they were living in Down Street Cottage in Dummer. During the past ten years there had been some additions to the family, Kate was now aged ten, Annie was 8, Rose was 5, Olive 3 and Grace 1. However there was more sad information later in that year, when Kate died aged 11. One can only imagine the effect this must have had on the family, and I feel so sad for Edith, who would have been isolated from her parents and other sisters. Kate died a month after her 11th birthday, from diabetes. I didn’t know about Kate at all until we began looking into the family history. There doesn’t appear to be any photographs of her, but there are none of Edith or Annie as children either. Photography must have become more popular when Olive and Grace were young because there are photographs of them. This entry was posted in CLEEVE, Dummer, Edith Maud W Cleeve, Kate Cleeve and tagged Kingsgate Street, Winchester. Bookmark the permalink.